Eric Jose’s dream has been to enter the business world, and he has taken his first step towards achieving this as a student at the Smith School of Business at Queen’s University in Kingston. He also started experiencing absence seizures – which are seizures characterized by brief lapses in consciousness – at 13 and his condition has presented challenges, he says. 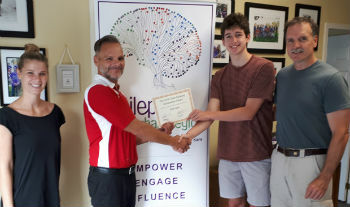 Eric Jose (middle-right) is pictured here receiving his Osler Epilepsy Scholarship award from Epilepsy Ontario executive director Paul Raymond. Still, Eric has persevered, and he draws parallels between his life journey with epilepsy and that of renowned actor Hugo Weaving, who has appeared in such films as The Lord of the Rings, The Hobbit and The Matrix. Like Eric, Weaving has lived with epilepsy since he was 13. Eric says Weaving’s “ability to thrive” while living with epilepsy has been an inspiration to him as he copes with the condition. He says that although he knew of Weaving when he first began experiencing seizures, he didn’t feel any connection with the actor until age 15 when he was at what he describes as “a low point” in his life. “Despite (Weaving’s) many roadblocks and hindrances that stood in his way … or the constant side effects of his medication, he has been able to accomplish so much and gain international renown for his performances,” Eric says. Like Weaving, Eric says he has struggled with the side effects of his medication. Another parallel between the student and the actor is that neither can drive a car due to their condition, Eric notes. But there are other ties that bind Eric and Weaving that have nothing to do with the condition they have. Eric notes that they’re both outdoor enthusiasts, they both enjoy watching sports and they share a passion for travelling. Eric is one of the recipients of this year’s Osler Epilepsy Scholarship. The $1,500 scholarship, formerly called the OBCL Epilepsy Scholarship, is being offered to five students this year. 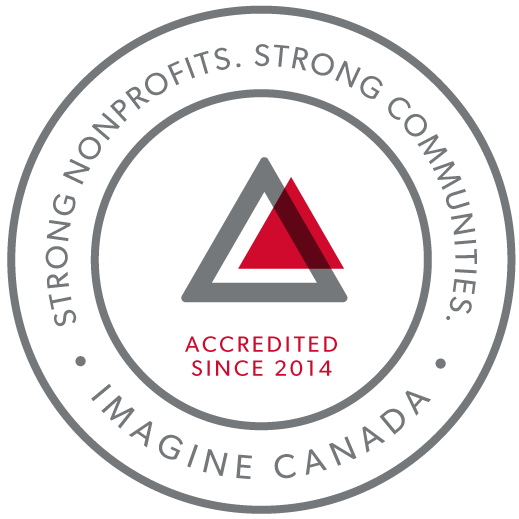 Osler Epilepsy Scholarships are awarded each year to exceptional students who have confronted and overcome remarkable barriers in their academic and personal lives due to their epilepsy. Applicants also submit a 600- to 900-word essay, about a famous person who has epilepsy and what that person’s life means to them.